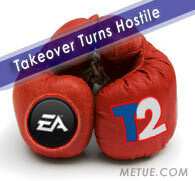 Take Two may be developing a boxing game but Electronic Arts has a mean left hook. Today, they showed just how mean by escalating their takeover attempt for the maker of Grand Theft Auto to hostile. 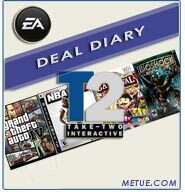 EA also aimed a power punch straight at the jaw of T2’s management team by adding a purchase price adjustment that gives shareholders an ultimatum to decide between fattening their own wallets or those of the company’s management. At issue is the underlying management agreement through which Zelnick Media is compensated for running Take Two. Earnings are down but forecasts are up. The pipeline is good but some big shareholders are selling. Some small shareholders are suing. 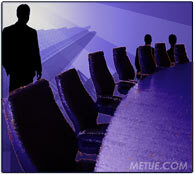 There are new severance packages but nothing to fear. “All is well” is the tagline. Sand Hill Road in Silicon Valley remains ground zero for venture capital investment. In 2007 Silicon Valley outpaced its closest geographic competitor by a factor of nearly three to one (via PWC Moneytree). Still, even with a smaller scale Hollywood Blvd. is getting busier, generating more investment traffic, and building buzz. 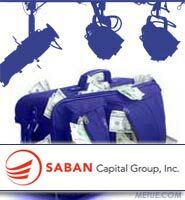 Saban Capital Group is the latest to hang up a V.C. shingle to address the SoCal market. First reported in the Hollywood Reporter, Haim Saban’s Saban Capital Group (SCG) is expanding from a focus on broad, large, traditional private equity deals to now also include more venture oriented digital media component in their portfolio mix. Jim Keyes cut his teeth squeezing profits out of quickie marts and low cost snacks. 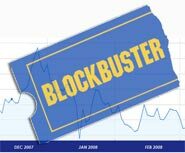 After about eight months trying to get Blockbuster back on track, the former 7-11 chief and his management tactics may finally be working. Thursday Blockbuster (BBI) reported earnings of $38.1m, or 18 cents a share on revenue of $1.57b. Less severance related charges and other onetime costs, earnings came in at $54.9m (26 cents a share). The numbers are a drastic improvement over the $8.3m (4 cents a share) earned during the same period last year. The results also outpaced consensus analyst estimates of about 19 cents a share. Much of the near term improvement is the result of cost cutting measures including scaling back advertising expenses (decreased about 26%) and closing down about 750 stores. After another quarter, profitability still remains elusive for TiVo but extending a trend the Digital Video Recorder (DVR) pioneer inched ever so slightly closer to the black. Wednesday the Alviso based company reported a net loss better than expectations. 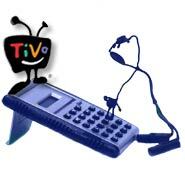 For the 4th quarter ended January 31st, TiVo reported a loss of $6.34m, or 6 cents a share. The result generously beat consensus analyst expectations (via Thomson Financial) of a loss of 11cents a share. The loss was a significant improvement over a loss of $19.5m, or 20cents a share for the same period last year. The result was also an improvement over the company’s own November guidance (which called for a net loss of $9m to $12m). Adjusted EBITDA was $1.0 million, compared to an Adjusted EBITDA loss of ($15.0) million in the year-ago period.